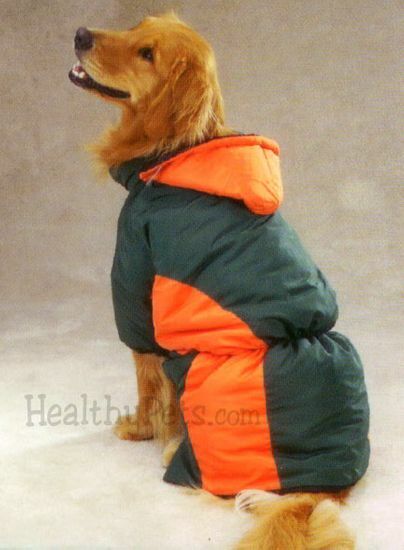 Suit your dogs up for winter action in this warm and outdoorsy Casual Canine� Base Camp Parka. The perfect attire for cold and windy weather, this stylish garment features a removable snap-on hood with drawstring ties. The hood keeps your dog's head and ears warm when out for winter walks. Velcro� closures, elasticized waist with adjustable tabs provide a secure and comfortable fit. Made of an easy-care blend of polyester and cotton. Machine washable for easy care. Base Camp Parkas are available in the sizes listed below.